ST. GEORGE — Ironman 70.3 competitors Tim Don and Heather Wurtele have spent too much time on the lower steps of the podium. But on Saturday, the top step belonged to them with Don (men’s professional) and Wurtele (women’s pro) winning the event amid cheering crowds and bright, sunny weather. Don, from Great Britain, passed three other pros, including perennial contender Brent McMahon, on the third leg of the race after having mechanical difficulties toward the end of the bike ride. But he did, finishing with a time of 3:51:56, walking the last two steps of the race and grabbing the finish tape with both hands. He then pumped his fist in triumph and waved to fans and friends in the crowd. His time was 1:26 ahead of McMahon (from Canada) and 1:43 ahead of third-place Andreas Raelert (from Germany). Like Don, Wurtele finished in third place a year ago. But she was not going to be denied this year, passing local favorite Meredith Kessler, who lives and trains in St. George. Wurtele was almost two minutes behind the leader Kessler at the transition, but was very strong on the 13.1-mile run. She made up the ground just past halfway and then pulled away for the victory with a time of 4:17:58, 89 seconds ahead of Kessler and nearly four minutes ahead of third-place finisher Jodie Swallow (from Great Britain). Wurtele looked pretty fresh at the finish line, stopping after she won to talk with fans and some of the race volunteers. Both champions praised the community support for putting on a top-notch event. L-R Men’s pros: Andreas Raelert, 3rd place; Tim Don, 1st place; Brent McMahon, 2nd place. 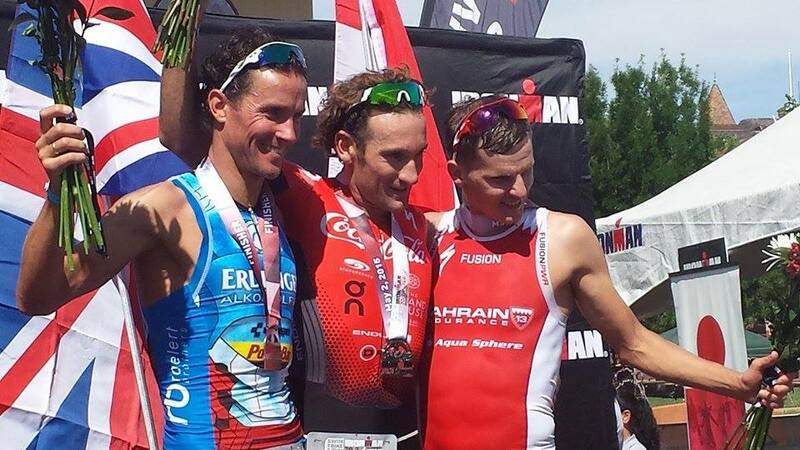 Ben Hoffman (Colorado) was the top American men’s winner, placing fifth among men’s pro competitors. 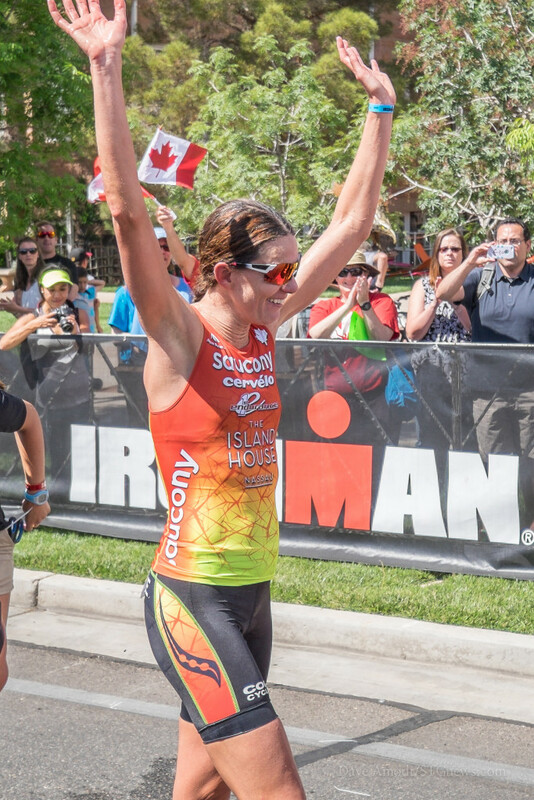 Hoffman won the last full Ironman competition held in St. George May 5, 2012. The race transitioned from the full Ironman to the current 70.3 format a couple of years ago and the racers say the distance is a perfect fit for the heat and rugged terrain in Southern Utah.